Here are some technical tips and other information that you may find of interest. WPC Pinball Speaker Replacement - Click here for information on how to replace the speakers in your WPC-era pinball machine with better-quality units. Fish Tales - Information on how to retrofit an illuminated "cast" button to your Fish Tales pinball machine; Williams apparently dropped this feature as a cost-saving measure. I've provided step-by-step instructions and a parts list. F-14 Tomcat - Copies of original factory service bulletin SS41 (page 1, page 2) detailing changes made to eliminate flash lamps from the red domes behind the "O" and "A" targets in the upper T-O-M and C-A-T target banks. Apparently the switches for the "O" and "A" targets could impact the base of the flash lamp socket behind the target and blow out the switch column transistor Q42. Note that this service bulletin also recommends changing the upper flipper coils to FL-11722 (green) coils to minimize breakage of the upper targets. 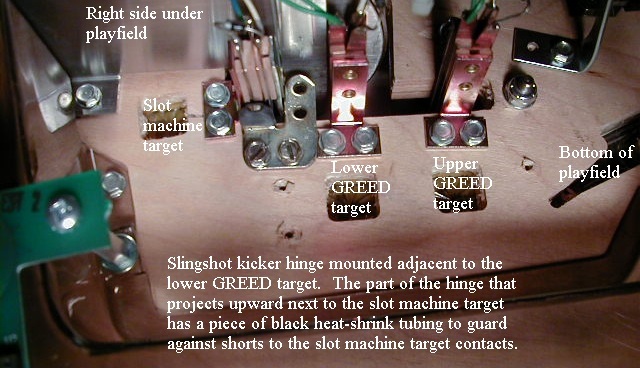 Twilight Zone - An image showing how to use a slingshot kicker hinge to reinforce the back of the oblong yellow target next to the slot machine kickout. The hinge is mounted under the playfield pressing against the rear of the slot machine target. Another solution is to use a special heavy-duty replacement switch sold by Pinball Resource; ask for part number WIL-A18530-6E for the (yellow) slot machine target, and part number WIL-A18530-2E for the (green) clock millions target. Playfield mylars - Copy of a factory letter explaining that Williams decided to temporarily stop factory installation of full playfield mylars due to adhesion problems. 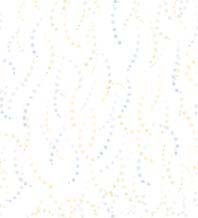 This letter states that playfield cleaners containing petroleum distillates should not be used on mylar because they destroy the adhesive used to hold the mylar to the playfield. Williams' decision is often used - incorrectly - by some pinball collectors as a general condemnation of petroleum-based playfield cleaners. Now you know the source of that myth.